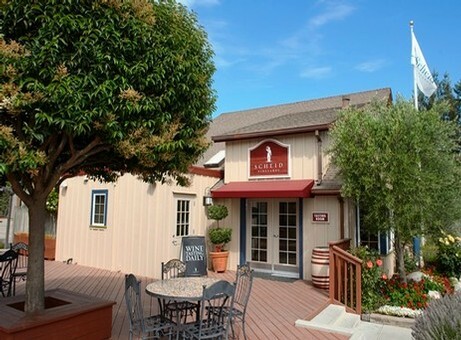 With two great locations, guests can join us at either our tasting room in beautiful Carmel-by-the-Sea in a relaxed and inviting venue for visitors and locals alike, or at our “home” location set among the vineyards in the heart of the Salinas Valley, just an hour’s scenic drive from the Monterey Peninsula. 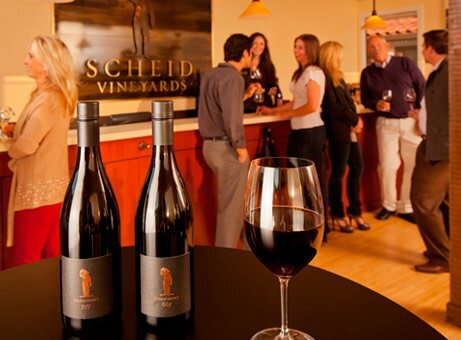 Located just a block off of Ocean Avenue at San Carlos & 7th in historic Carmel-by-the-Sea, our Carmel Tasting Room is a warm and inviting haven to taste an array of Scheid Vineyards wines. Discover our wines, vineyards, and the wonderful diversity of the Monterey growing region while enjoying our estate grown wines. We host a number of events each year at our tasting rooms including educational and wine pairing events. Our tasting menus change every month, so stop in often to experience the full breadth of our wines. We offer two different wine tasting flights every day. No reservation necessary. Located just off of Highway 101 between Greenfield and King City, this is our “home” location set among the vineyards, just an hour's scenic drive from the Monterey Peninsula. With a spacious outdoor deck, demonstration vineyard, bocce ball court, and more, this is the perfect place to enjoy the tranquil beauty of far-reaching views, rolling hills and row upon row of lush vineyards while tasting the handcrafted wines of Scheid Vineyards. The open venue also makes this a great place to hold a private party, wine dinner or corporate event.